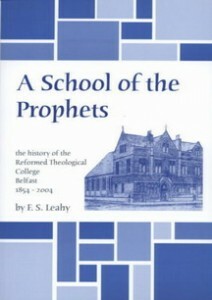 For one hundred and fifty years the Reformed Theological College, with an unshaken commitment to biblical Christianity, has been training a succession of gospel ministers for the church of Christ. F.S. Leahy here tells its story in a vivid and interesting way which, like all good history, has lessons for the present and a challenge for the future. The need is enormous, the opportunities thrilling, the available resources infinite in Christ.